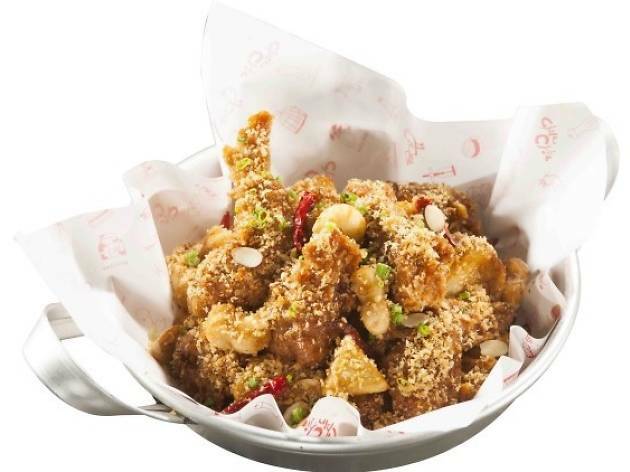 Chir Chir, a Korean fried chicken chain with more than 100 outlets across South Korea, opens its first branch in Singapore. 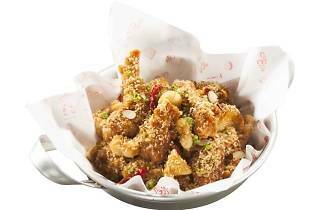 Promising to give diners a taste of Korean chimaek culture – gorging on fried chicken with beer – the chickens here are cooked fresh with Korean-imported marinades. Chicken options come in crispy ($26.90/whole, $26.90/wings, $24.90/tenders), garlicky or spicy ($28.90 whole, $28.90/wings, $26.90/tenders). 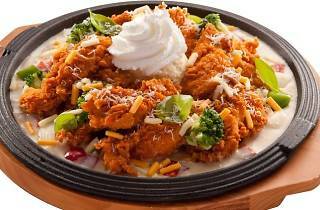 The Nest Snow ($32.90) dish features Cajun chicken tenders served with a not-so-healthy dollop of whipped cream. To douse the spice, whipped cream is also served atop the Chir Cream Beer ($13.90/350ml, $18.90/650ml). Another branch has opened at Bedok Point (#02-05/06 Bedok Point, 799 New Upper Changi Rd. Bedok MRT. Sun-Thu 10am-10pm; Fri-Sat 10am-11pm).